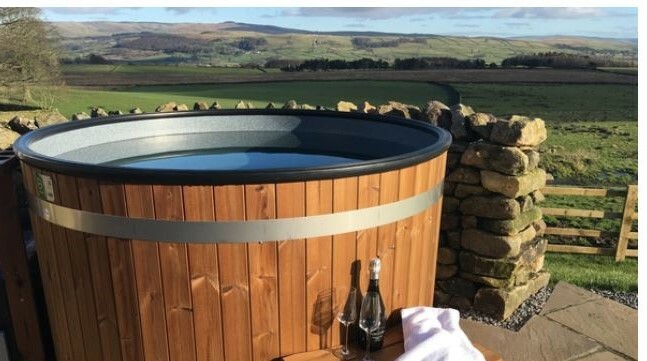 Why a wood fired tub? There's nothing quite like relaxing in a hot tub under a starlit night sky! 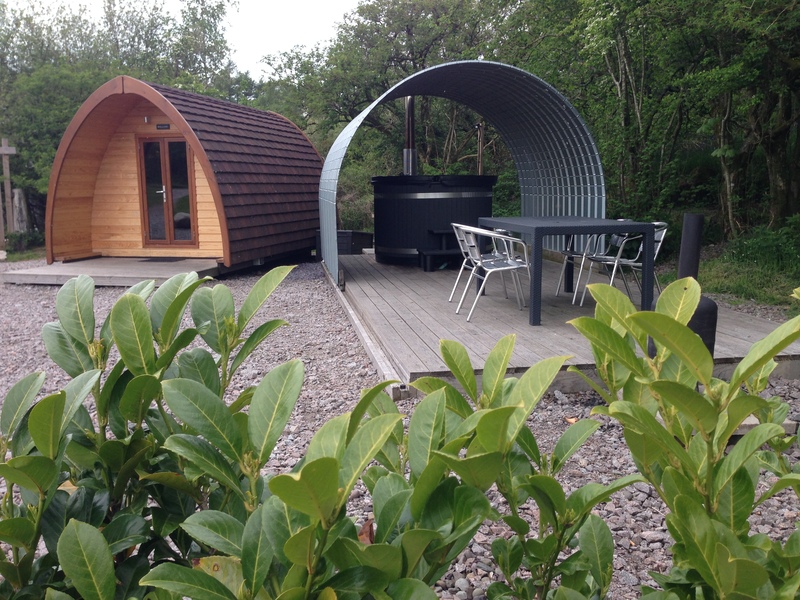 Wood Fire Water supplier of high quality authentic wood fired hot tubs by Kirami & Weltevree throughout the UK. 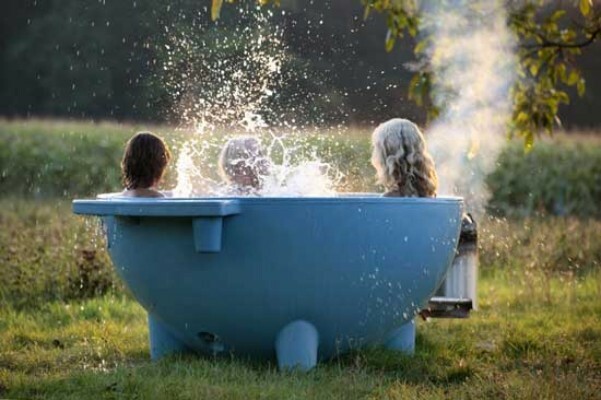 A premium range of tubs and accessories complement any garden and outdoor space, allowing you to relax and enjoy the experience of outdoor bathing. 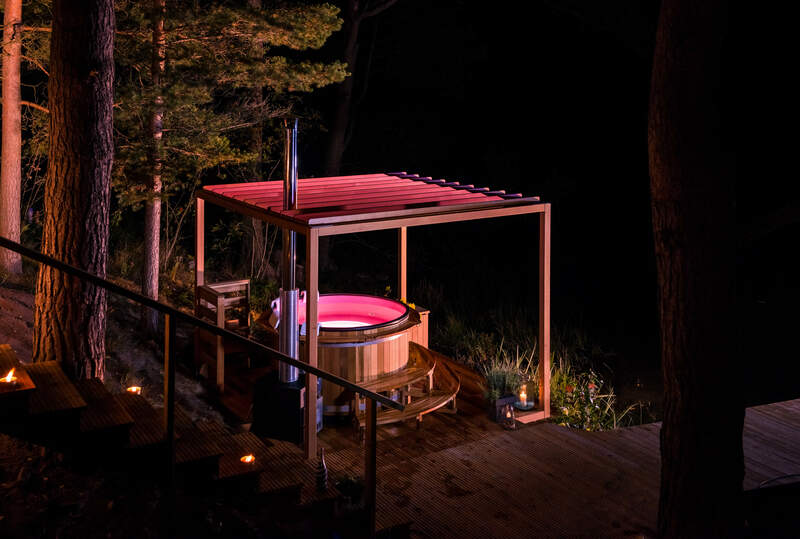 Imagine sitting back in a steaming wood fired hot tub and savouring the night sky and the crackle of a log fire - and sharing a great experience with family and friends. Our tubs are kind on the environment and thoroughly great for your well-being. 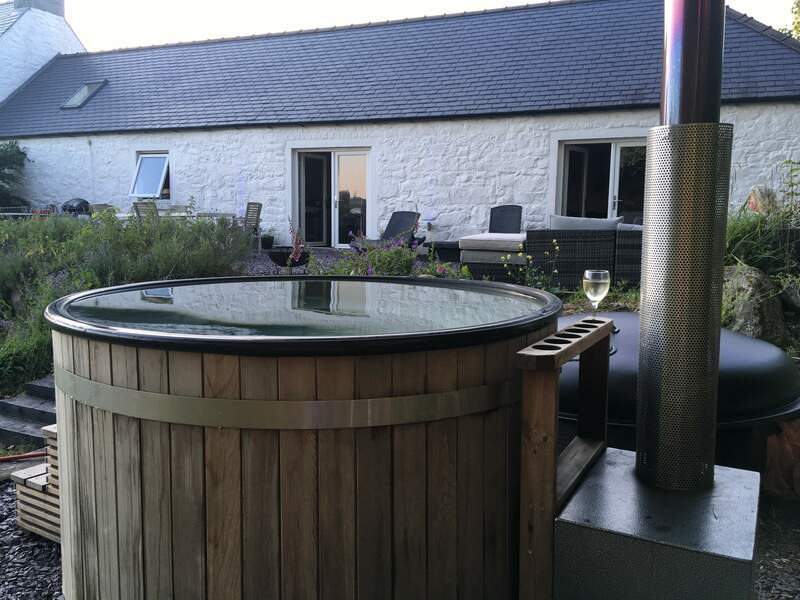 We are a family business and have years of experience installing and enjoying wood fired hot tubs, so can spend time understanding what will make the best hot tub set-up for you. Take a look at our range of Kirami or Dutchtub hot tubs and you’ll see we have models suitable for all budgets and styles to complement your outdoor space. Any questions or need more information? Just call us on 01556 568101 and we’ll explain the various options for tubs, water heaters and accessories. If you prefer, you can email us. Dutchtub Original, Loveseat & Wood - amazing design, simplicity to use. With its light-weight and smart and strong construction, the hot tub can easily be moved. 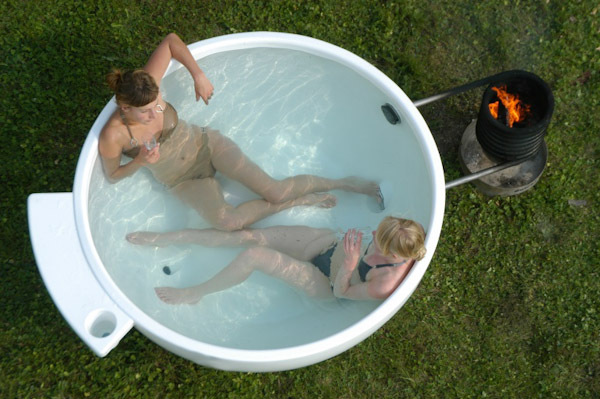 Thanks to its beautiful design the Dutchtub brings something magical to your own backyard or in the middle of nowhere!